LG Nitro HD is scheduled to be announced by LG in a week from now. But AT&T today does the job. Their press release shows us every bit of US version of the Optimus LTE. It’s the first time AT&T has a mobile phone with HD IPS display. The Nitro HD also features a 1.5GHz dual-core Qualcomm APQ8060 CPU, 8MP camera with 1080p video capture, a 1.3MP front-facing camera, 4G LTE connectivity and ships with a 16GB microSD card in addition to 4GB of internal storage. It will be available December 4th for $249.99 on contract. Read the full press release for details. 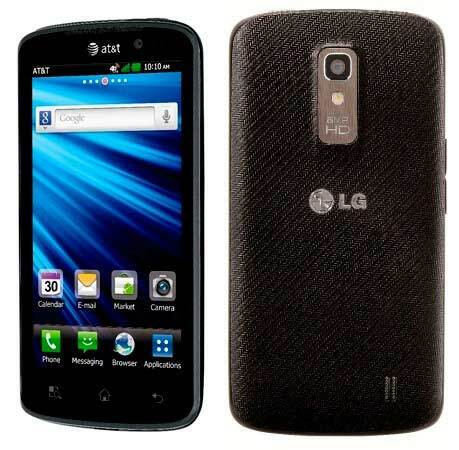 LG Nitro™ HD, the first smartphone in the AT&T* portfolio with a true high definition screen becomes the third 4G LTE smartphone for AT&T customers. Available in AT&T stores and online Dec. 4 for $249.99 with a two-year commitment. Dual-core 1.5 GHz processor and access to AT&T’s 4G LTE makes Nitro HD the ultimate high-performance super phone. AT&T 4G LTE recently expanded to 15 markets. AT&T plans to reach 70 million Americans with 4G LTE by year-end 2011. The LG Nitro™ HD, featuring a 4.5-inch True HD AH-IPS display, will be available exclusively to AT&T customers beginning Dec. 4 in company owned stores and online. Setting a new standard for a mobile device, LG Nitro HD comes equipped with a stunning true high-definition touchscreen display, a dual-core 1.5 GHz processor and access to AT&T’s 4G LTE where available, making it the ultimate high-performance superphone. Not only is LG Nitro HD powerful and incredibly fast, it also features multitasking abilities and offers the latest evolution in mobile device display technology for higher image resolutions and text readability. Taking advantage of LG’s new proprietary True HD technology, LG Nitro HD’s 4.5-inch AH-IPS (Advanced High-Performance In-Plane Switching) display supports resolutions up to 1280 X 720 pixels and offers unrivaled color accuracy, brightness, battery efficiency and performance. LG Nitro HD’s 500 nit display luminance allows for clear viewing in direct sunlight and RGB stripe pixels deliver incredibly accurate true-to-life color rendering. LG Nitro HD offers incredibly quick speed, power and efficiency in a slim design (5.27" X 2.67" X 0.41") making it easy to view, create and share in HD. LG Nitro HD multitasks seamlessly and with AT&T 4G LTE and HSPA+ where available, it easily browses even the most content-heavy websites and runs HD games with ease, including HD gaming from the Gameloft HD game store and Zynga Poker HD. An 8-megapixel HD camera and 20 GB of total memory (4 GB on-board plus 16 GB via In-box microSD) allows users to capture and view crystal-clear True HD images and video. Wi-Fi Direct™ technology and DLNA® features offer wireless HD content streaming options, making it easier and faster than ever to share HD content with the people and networks that matter the most. AT&T is the only U.S. carrier providing 4G using both HSPA+ and LTE technologies. HSPA+, when combined with enhanced backhaul, provides customers with compatible devices 4G speeds, meaning customers get a faster and more consistent 4G experience, even when outside of an AT&T 4G LTE area. Be one of the first to experience the phenomenon of LG Nitro HD on Dec. 4, available exclusively in AT&T company owned stores and online for just $249.99 after a two-year contract. "With the LG Nitro HD as one of our last smartphones to arrive in 2011, we’re closing out the year with a bang," said Jeff Bradley, senior vice president, Devices, AT&T Mobility and Consumer Markets. "We’ve seen others get close to a true HD experience on Android superphones this year, but Nitro HD is the one that does it right." "LG continues to push the boundaries of what is possible on mobile devices today," said Tim O’Brien, vice president of marketing for LG Mobile. "LG Nitro HD will be the first smartphone available for AT&T to feature True HD AH-IPS capabilities, and the advantages of a crystal clear display are immediately evident after seeing the device first hand. In addition to sporting the clearest and crispest display on the market, LG Nitro HD will be one of the fastest and most powerful smartphones available."